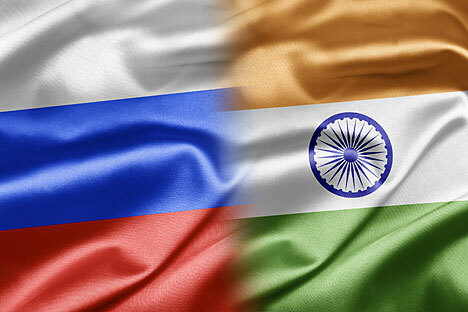 Russia plans to open a trade promotion centre in India before the end of 2016, the Economic Development Ministry said. Russia will set up a trading house as a branch of the Russian Export Centre (REC) in India before the end of 2016. In addition to India, trade promotion offices will be opened in Austria, Argentina, Vietnam, Iran, Kazakhstan, China, Tajikistan, France, and South Africa, stated the Economic Development Ministry and the representative of the REC, working on setting up this project. The trading houses are intended to provide Russian exporters with a set of specialized services to promote their products and services in foreign markets. According to the Ministry of Economic Development, the main tasks of the trading houses are “the provision of advisory support to exporters on the specifics of local markets, providing storage premises for exporters, representing the interests of Russian companies during participation in tenders and procurement activities in the local market”. Konstantin Yevstyukhin, managing director of non-financial support at the REC, said the centre will assist in the search for potential partners, the organization of negotiations, the provision of exhibition areas and supporting presentations to potential buyers. Such trade offices are already functioning in some form in a few countries. The first office opened in late May in Kazakhstan. REC offices in Vietnam, China, Iran and Argentina are also already functioning, while a representative office will soon be registered in Tajikistan. The Ministry noted that the selection of countries was made taking into account the existing levels of economic and trade cooperation, as well as requests of Russian businesses. Alexey Likhachev, Deputy Minister of Economic Development, said during the St. Petersburg International Economic Forum that a trading house in India would become an important tool to support mutual trade, investment and exchange of services. The creation and development of such tools is part of the triad task of giving impetus to further development of trade and economic relations between Russia and India. The total trade between India and Russia in 2015 amounted to $7.8 billion, which is 1% more than in 2014. Indian imports increased by almost 3 per cent over the year. Expansion of trade and economic cooperation is one of the priority tasks for both India and Russia.